Oh Martha - a customized crossword puzzle for the wedding day - you have outdone yourself. This is adorbs. 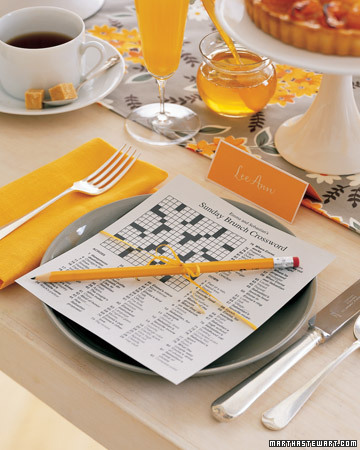 What would be even more adorbs, would be pencils with the bride and groom's names on them. Just sayin'.